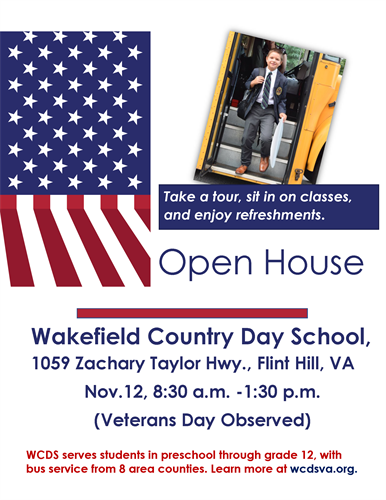 Did you know Wakefield Country Day School serves students in preschool through grade 12, with bus service from Fauquier County? Visit our Open House to learn more about our forty-five years of longstanding success. Take a tour, sit in on classes, and enjoy refreshments. Monday, November 12, 8:30 a.m. -1:30 p.m.